It freaked me out! I turned off the light and left the room rather quickly as I tried to imagine who would be disturbed enough to leave a bloated dead mouse (mole? vole?) in the middle of our kitchen. A gift from Eliza, island prankster and grower of beets. I stand corrected: EEk! 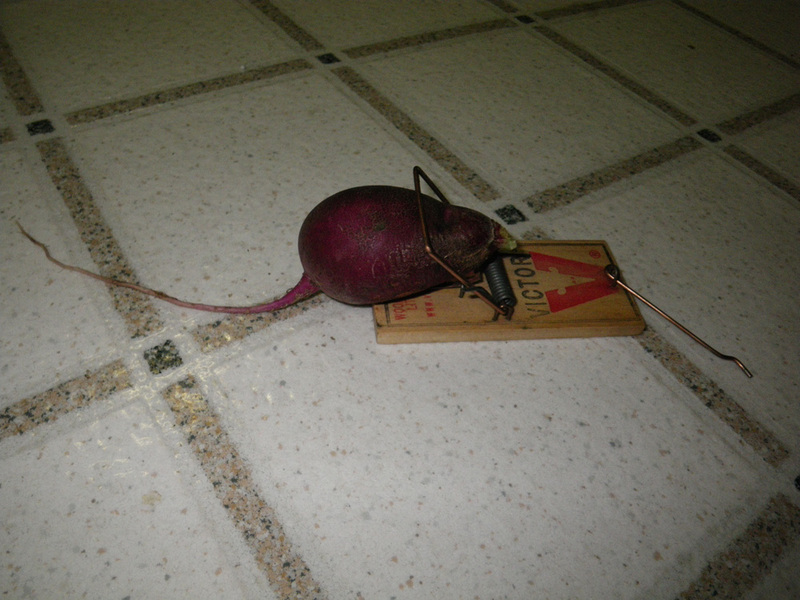 a radish!! what a fun friend to have around! OMG I hope Frank never sees this photo!! He will spend hours doing the marketing in search of a mate for your beet! Well…….Eliza and I were just wondering who should get it next. We put it back at Anna’s. 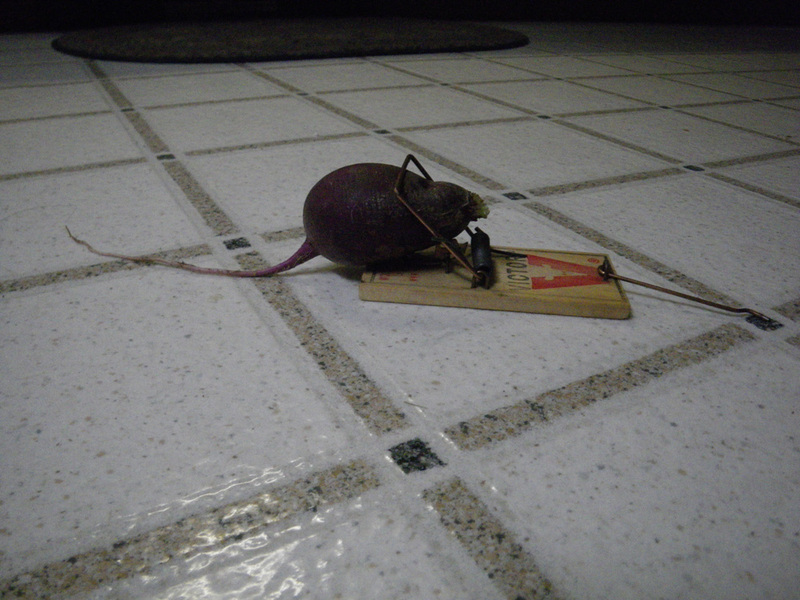 Now that the beet/radish is really shriveled, it looks even more like a dead mouse! Maybe it needs to make its way around the North Shore of the island!